I was recently given a huge amount of carrots (we’re talking about the size of a small toddler) from a couple farmer friends of mine. The carrots had surprisingly survived the winter and I got to be one of the lucky recipients. My family loves carrots…in a major Bugs Bunny sort of way. So aside from packing them in lunches, I’ve been coming up with recipes that feature these lovely, orange-gold vitamin A-packed veggies. I’ve made a Spinach, Carrot and Brussels Sprout Pizza, Indian-spiced Carrot and Black Bean Stew, and Carrots and Brussels Sprouts with Penne and Peanut Sauce. We might be starting to turn orange at this point…I guess we’d fit in with the tanning-for-spring-break crowd. And yet, we just can’t get enough. Easter was approaching and what better way to celebrate the bunny-centered holiday than to do another carrot-featured dish? 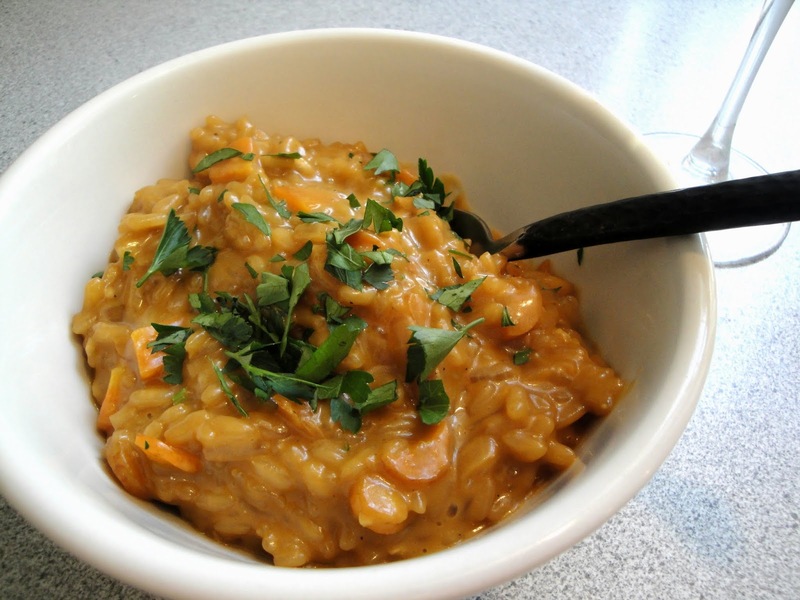 I wanted to do something different, something special for a side dish, so I decided to make a carrot risotto. 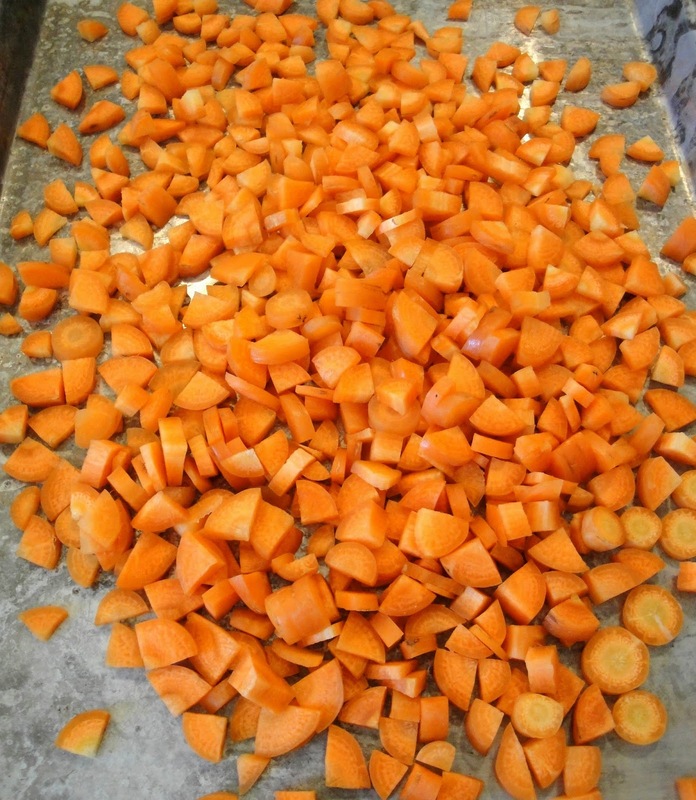 And to heighten the subtle sweetness of the carrots, I roasted them first. Boo. Yah. Preheat oven to 425 degrees. Toss the carrots with 1 tablespoon of the olive oil and sprinkle with salt & pepper. 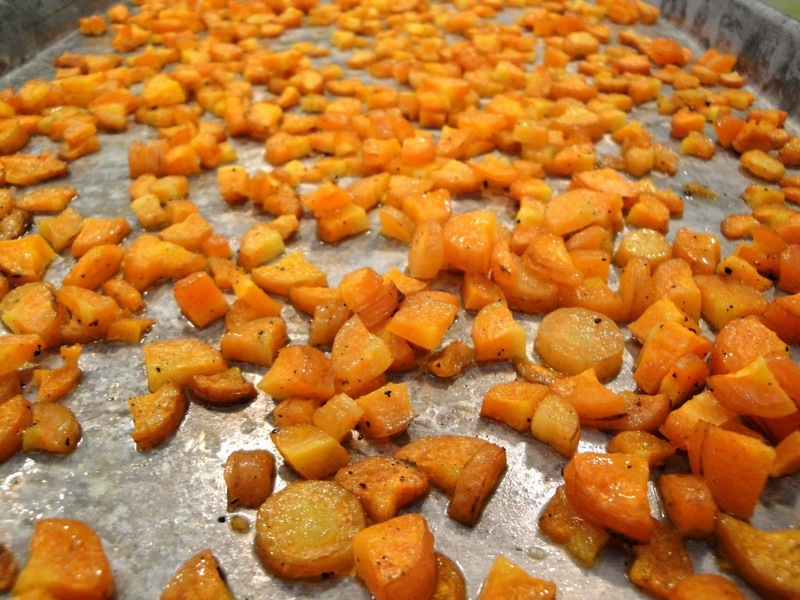 Roast for about 20 minutes, until carrots are soft and edges are lightly browned. 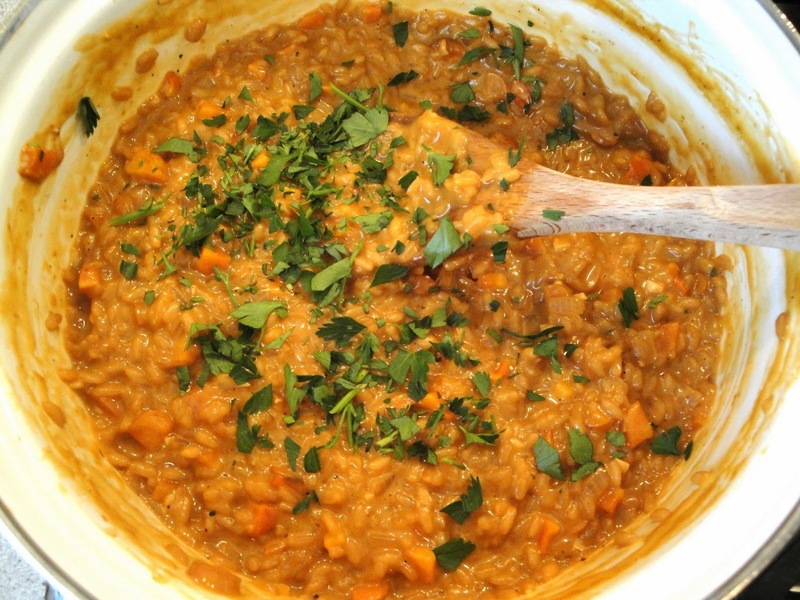 Meanwhile, start the risotto. In a medium-sized pot heat the vegetable stock over medium heat. In a second, larger pot, heat 3 tablespoons of butter and the remaining 2 tablespoons of olive oil over medium high heat and saute the onion until translucent, about 5 – 7 minutes. 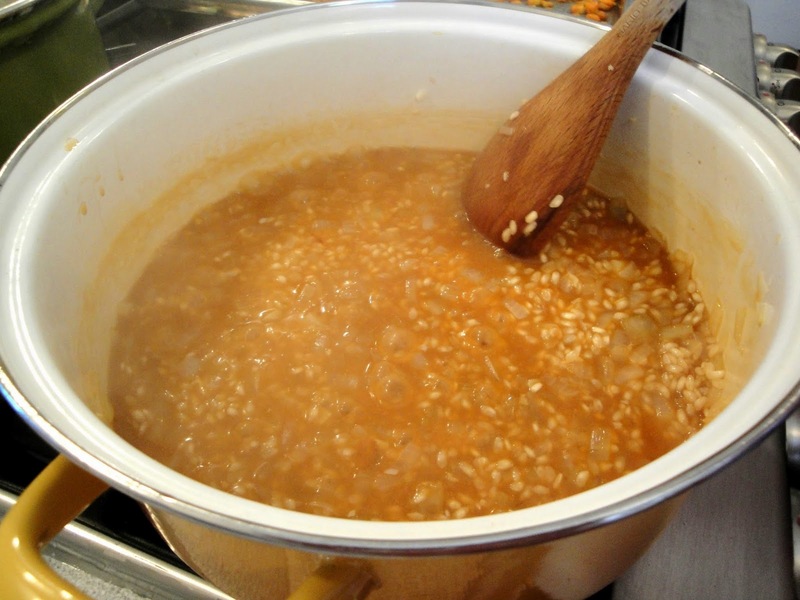 Lower the heat to medium and add the garlic and cook for another minute, then add the rice and cook for 1 – 2 minutes more. 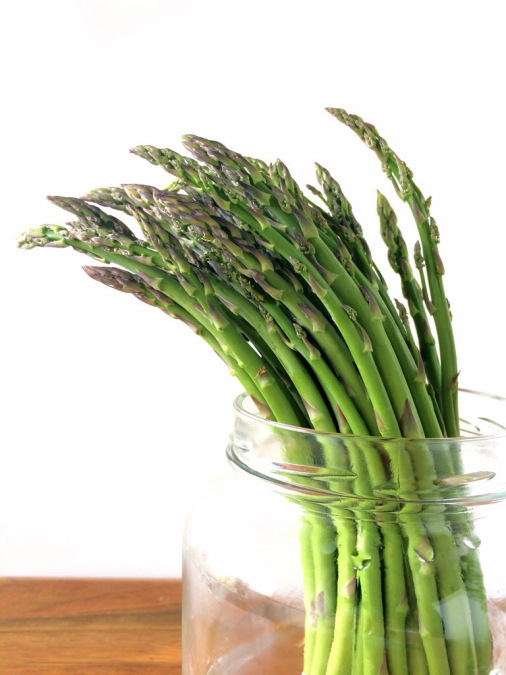 Stir in the vermouth or white wine to deglaze the pan and cook until the liquid is almost completely absorbed. 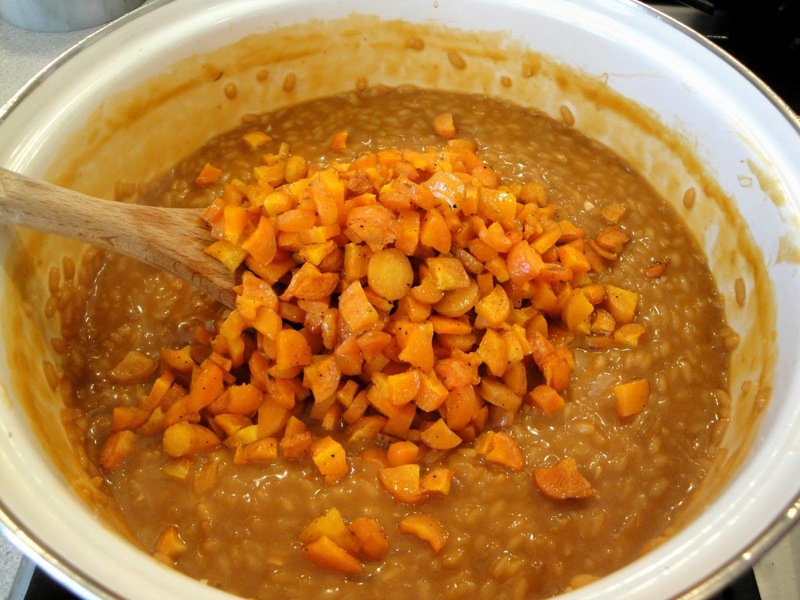 Begin adding in the vegetable stock one ladle at a time, stirring continuously and waiting to add each additional ladle until most of the liquid is absorbed. 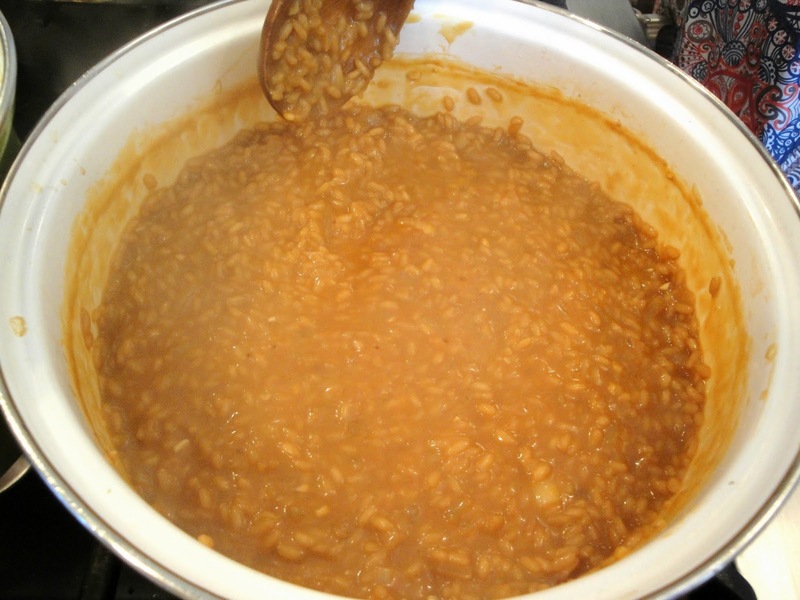 This will take about 25 – 30 minutes and the rice will thicken and get creamy, but should not be mushy. 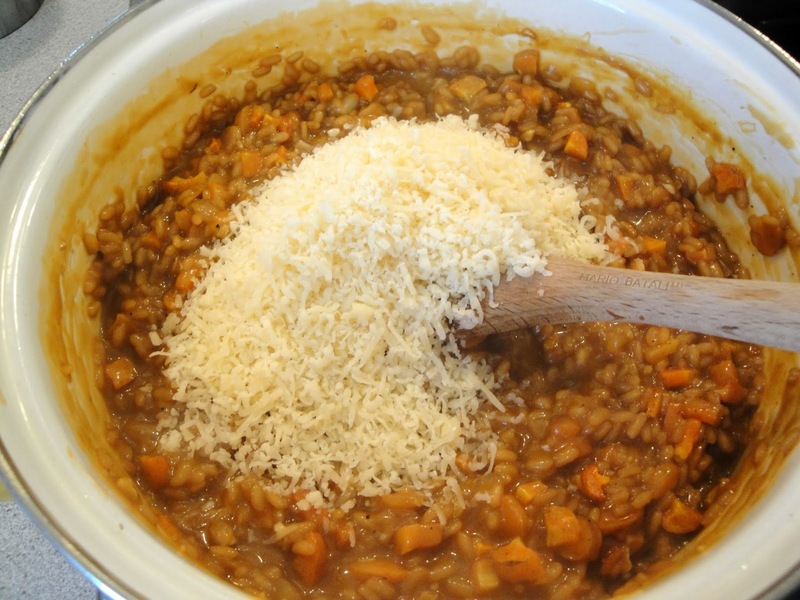 Add the carrots, parmesan, and remaining 2 tablespoons of butter and stir to combine. Stir in the parsley, saving some for garnish. Serve immediately. Enjoy!